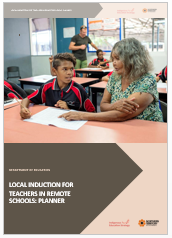 Principals and school leaders play an essential role in local induction for remote teachers. providing school and community specific local induction supported by formalised mentoring. Welcome packs can be tailored to suit the role of individual teachers. They may be provided on arrival or emailed to the teacher before commencing at the school. daily routines including arrival and departure times, staff meetings, yard duty. 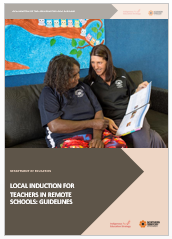 Go to the Australian Institute for Teaching and School Leadership (AITSL) web site to access more information about induction for early career teachers.